SEARCH Has A New Home! 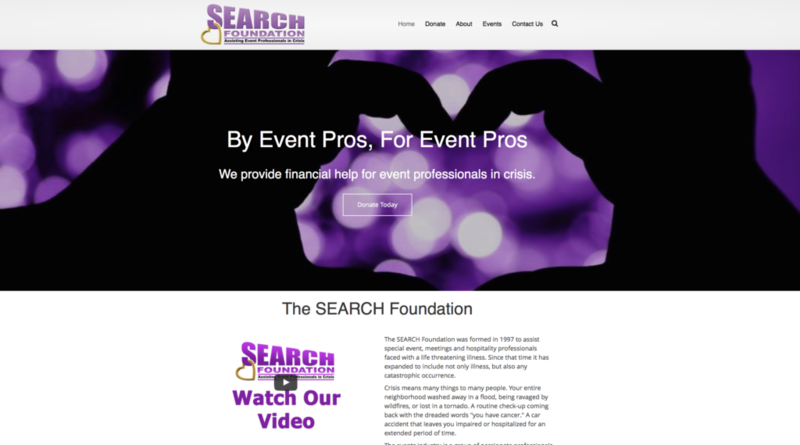 The SEARCH Foundation is very pleased to announce the launch of our new, mobile friendly website and donor management. Working with NeonCRM, SEARCH now has improved security and increased functionality in order to make it easier for our private and corporate donators to give to event professionals in crisis. The website design and management has been and continues to be taken care of at no cost to the organization by our Chairman of the Marketing Committee, Nick Borelli of Borelli Strategies. The site has been made responsive for mobile optimization and easier to navigate by adopting a more modern design aetstectic.